Let the games begin. I love coming up with ideas for themed parties, I search the internet and try to improvise other games to match themes. 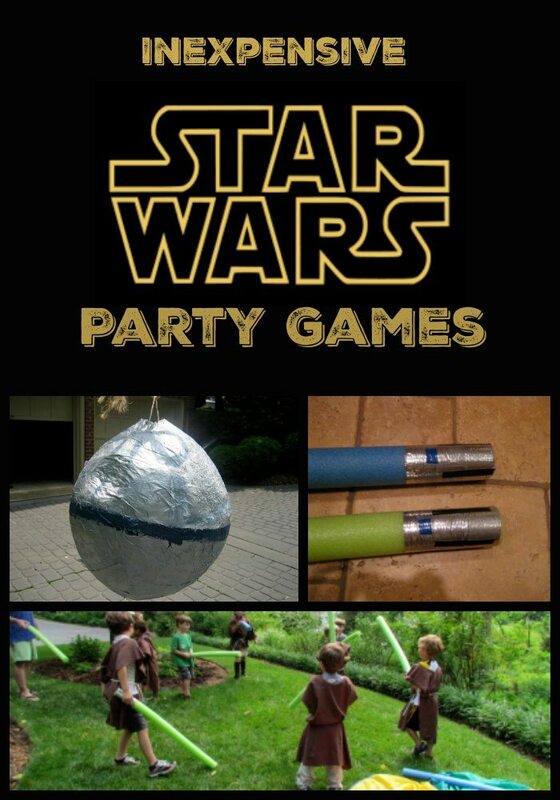 Coming up with Star Wars Party Games and Activities took no effort. 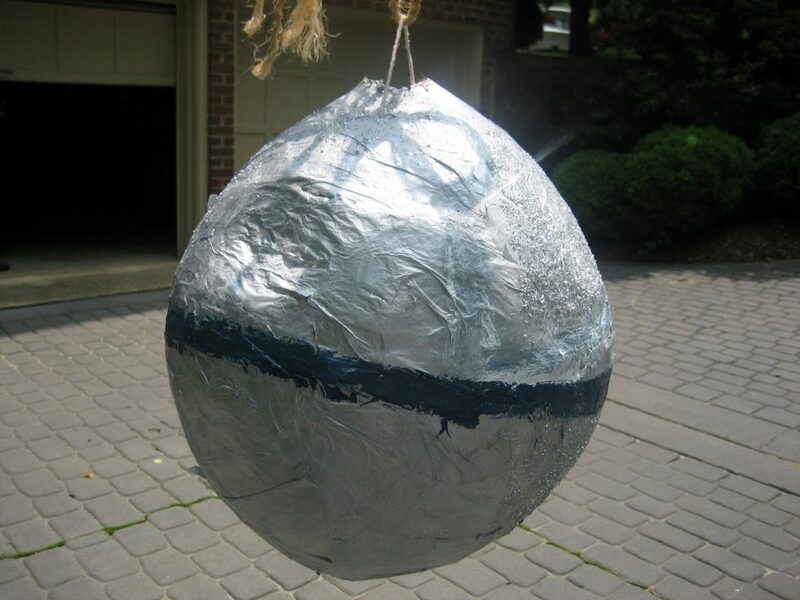 The Death Star Pinata, however, needs some prior planning but it was such a hit. Be sure to check out the Star Wars Party Invitations we made too. While we waited for all the kids to arrive and to make them comfortable so their folks could leave, we had out my son’s star wars figurines and legos. The kids were encouraged to put together a spaceship. I also had a Star Wars coloring book and crayons but it went untouched. This was a last minute decision as I was not sure if the kids would wear them, especially with the heat we have been having. Joann’s had flannel fabric for $2.99 a yard so I thought I would give it a go. I simply cut on long rectangles our of the fabric, measuring my son first, folded them in half and cut out the head. Walmart sells the cotton rope that made the perfect belt. Cost about 3.00 per robe. Once all the kids arrived I asked the kids if they wanted to become Jedis and fitted them with the robes. 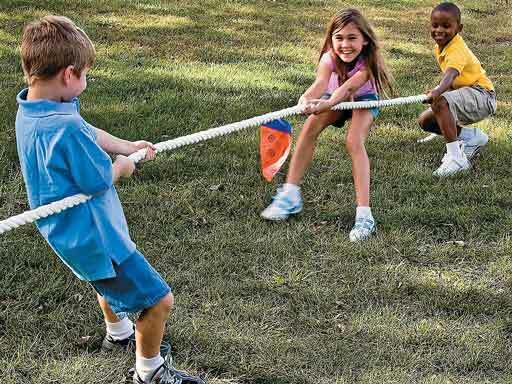 One of the most simple Star Wars birthday party games is to spit them into characters from the dark side and the light side using the masks and have them play tug of war. When I was at Party City I saw a Darth Vader pinata for $20. I thought I can make a death star or something out of paper Mache. On the Starwars.com website, they have directions for the death star Pinata. I was able to find all the things needed for this, except I did not glitter the entire thing. I was afraid that if I had to bring this activity inside due to weather, I would find glitter for weeks. I started to tape the death star but decided to use paint instead. Here is the progression of my first attempt with paper mache (at least adult memory). I enclosed the top with silver duck tape once I filled it with candy. 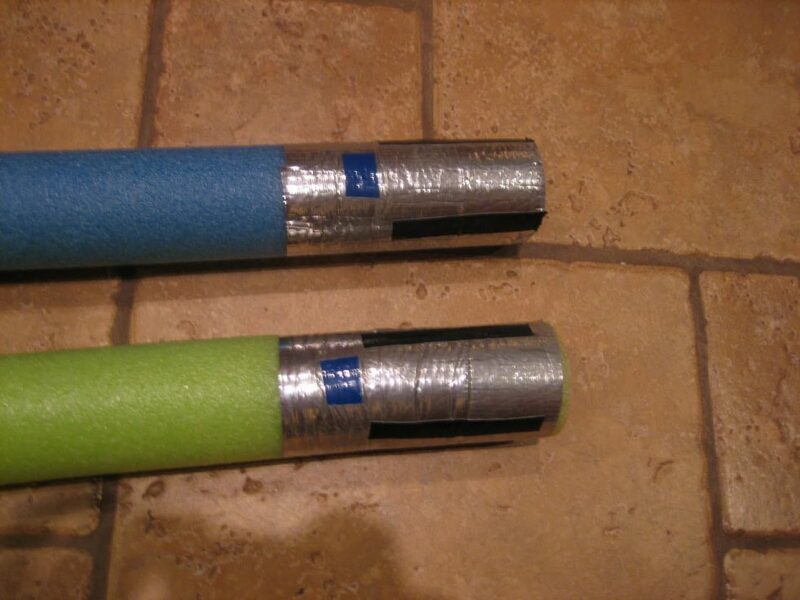 I first had the children use their foam light sabers because I was not sure how strong it would be. Then I let them use a plastic bat. Only took 3 kids to break it then. For around $5, I had a pinata. 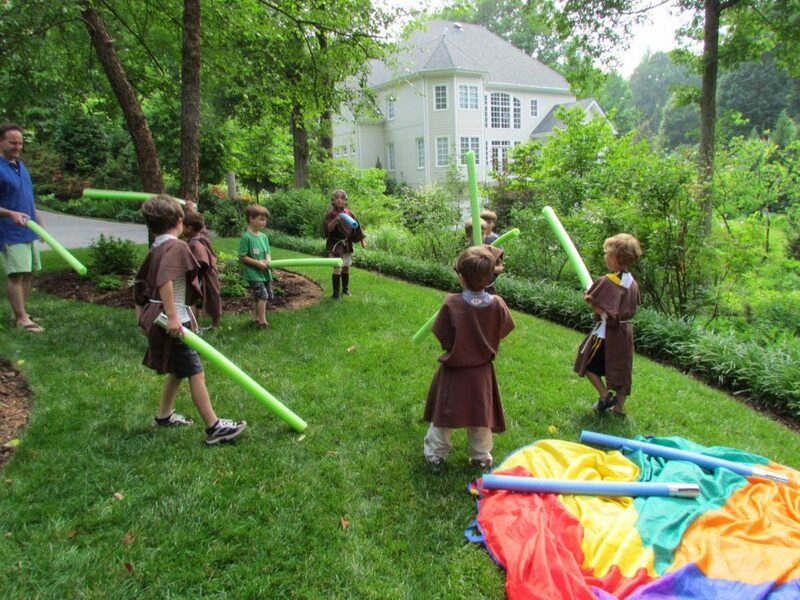 What Star Wars party would not be complete with Lightsabers. I did not want to spend $10 per child on a real one, plus I could not imagine the outcome of 9 plastic swords at the party. I bought $1 pool noodles at the dollar store and $5 below. Of course mainly green for the Jedi’s in training and red for Darth Vader. I measured them to match the size of the plastic version we have, 36 inches. Cut them with a miter saw, a bread knife would probably work too. Wrap the bottoms with silver or grey duct tap e and add some black and blue tape accents. Make sure not to give these out until you are outside! My older daughter and son were in charge of Jedi training. They first learned moves with their lightsabers, similar to Simon says. They then went through an obstacle course outside designed by my son and his friend. Going through tunnels, jumping over hula hoops, you get it. Then they were each given a black balloon and tried to keep the balloons up in the air with their lightsaber. As this was wrapping up, Darth Vader came out and the children were allowed to show off their skills by attacking him. Once he surrendered each child took a picture with him and I will include this in their thank you note. I think this was the highlight. With the leftover pieces of foam this game evolved, also known as trash. Line up the pieces of foam in a line and divide the kids into two groups. The goal is to keep throwing the pieces or blasters over the line and have the fewest pieces on your side. The clock runs for 2 minutes and this makes them good and tired. Make sure the kids just don’t hold onto the pieces until the very end. This is a great activity to do after cake, to get the sugar out!! I had some of my son’s easy reader Star Wars books available in case we had downtime but we never got to it.